It was 70 years ago this day that You are not allowed to view links. Register or Login. It had 1K of memory and ran at about 1KHz. Now compare that to the speed and storage of the phone in your pocket. Yikes. 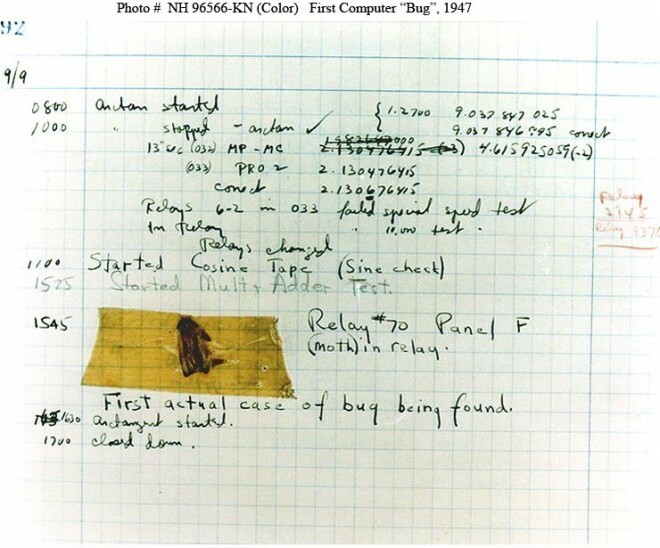 Meanwhile, Grace Hopper was looking for the bug in her Eniac computer. I got to drive her one day when she came to San Diego to open the new super computer center there. She told me she never thought COBOL would out live her. It was supposed to be something to use until something better came along. Unfortunately, business types are conservative. And I don't have enough green pixels to fully express my envy for having met Admiral Hopper. Cobol is a conversation with a compiler. ETA: In 1998-99 the profs in the business computing department at Purdue were mostly reservists and they were spending their reserve time in DC, helping fix the country's COBOL problem. Fortunately the year 2000 bug was a nothing burger ... well maybe because so much code got updated or retired. After Fortran, I took COBOL and it was the damn dumbest thing I ever tackled. Nothing made any logical sense, and it was like learning martian. I even did well enough with that, but decided it wasn't my future. But if I had gone to C instead of COBOL, I might a rich creep now. Instead of a middle rich no-one. LOL! NOthing complicated about COBOL, that's why they sold it to business easily. You just describe what you want to happen. You literally address every single space on the page. Tedious, but not rocket surgery until you get into the serious math modules. And most of them have already been written by now, with instructions on tweaking. People were really excited when they started selling compilers for PCs. No more sending the program to the mainframe and waiting your turn to get the error messages back. A co-ed friend used to borrow my computer and do her homework naked. It was worth it. C was for the next generation ... but you could have been a trendy European back then, done Algol or Pascal. Oui? C and other modern languages allow pointers and strings ... which are necessary to have a dynamic execution of the program. Fortran and COBOL were static, meant for IBM punch cards. But there is no free code. Pointers and strings also allow all the dysfunction and hacking we now have. There was no hacking Fortran or COBOL. Fixed length arrays, and carefully specified floating point numbers. Strings were just fixed labels for human convenience. My point was that Fortran made positive sense in equation terms and Cobol was so highly structured and didn't make any specific sense reading it. You could look at Fortran and understand in real terms what was going on. Cobol needed so much structure that you couldn't follow the logic without a lot of work. A comma out of place in Cobol didn't stand out. Any symbol error in Fortran just jumped out at you. Never did Fortran, so I can't comment on relatives.